ReviewsBelow you’ll find all of our latest product reviews.. In addition to eating right and working hard in the gym, adequate rest and recovery is a critical part of any successful workout routine. Proper recovery improves your performance, encourages maximum muscle growth, and reduces the risk of injury, yet having an effective post-workout recovery plan is a step that many people overlook. Below are some of the essential recovery tips and techniques for ensuring that you get the most out of your workout. Good sleep is one of the most important factors for proper recovery after exercise. Too little sleep means less energy, reduced training tolerance, and altered moods, which can affect your motivation to go to the gym in the first place. Not only that, but the body also increases production of muscle-building anabolic hormones while you are in a state of deep sleep. Aim for a minimum of seven hours of rest each night, and try to limit distractions such as light or sound at night so that you can fall asleep faster. Eating a well-balanced combination of fast-acting carbs and protein immediately after a workout will help restore depleted glycogen levels and temporarily boost insulin levels, which tells the body to jump-start protein synthesis and prevent the breakdown of muscle tissue. One of the most common post-workout snacks is a shake made with whey protein, which provides a convenient way to get plenty of protein when you need it most. Though it may come as a surprise, another excellent choice is a glass of chocolate milk, since the combination of protein, fast-acting carbohydrates, and natural sugars is precisely what your body craves after a tough gym session. After a workout, muscles and connective tissue often become knotted, which can keep you out of the gym or limit your exercise potential. Using a foam roller can help by deeply massaging sore areas, reducing muscle stiffness, and increasing blood flow to aid in recovery. Foam rolling and other forms of tissue massage can also help by relieving stress, thereby decreasing the risk of injuries and reducing the production of stress hormones that interfere with the recovery process. There are a seemingly endless number of pills and powders marketed to people with an interest in fitness and nutrition, and the simple fact is that most of them are overpriced and ineffective. However, there are some supplements that can aid in post-workout recovery, and they don’t have to break the bank. Base-chain amino acids, or BCAAs, are the building blocks of muscle tissue, and you can often buy them in powdered form. Adding some BCAAs to a glass of water before and after your workout can help stimulate muscle growth and speed up muscle repair. Fish oil pills are another great recovery supplement, since the omega-3 fatty acids they contain work to reduce inflammation, especially in the joints. Studies suggest that as many as 75% of Americans are chronically dehydrated and as important as drinking enough water is for the average person, it’s even more critical if you lead an active lifestyle. Water helps your body flush away the lactic acid that builds up in muscles and causes soreness, and dehydration causes noticeable dips in strength and endurance that can slow down your progress and make you more prone to injury. Proper hydration is also crucial for keeping your joints healthy and lubricated. One of the most common mistakes people make at the gym–especially when they’re just starting out–is to push themselves too hard and too often without giving their body time to recover between workouts adequately. You should always give yourself at least one or two days off between working on the same muscle groups, but many people find that their bodies respond best to occasionally taking an entire week off from heavy exercise in order to fully repair muscle tissue, reduce the risk of injury, and avoid over-training. If you can’t stand to take a whole week off, consider doing a “de-load” week instead, where you continue to train using roughly 50 to 65% of the weights you would typically use. Regardless of how hard you work out and how fine-tuned your diet is, you won’t reach your maximum potential without adequate rest and recovery periods. By using the strategies above, you can encourage muscle growth, boost performance, and reduce the risk of an injury that could sideline your fitness goals. 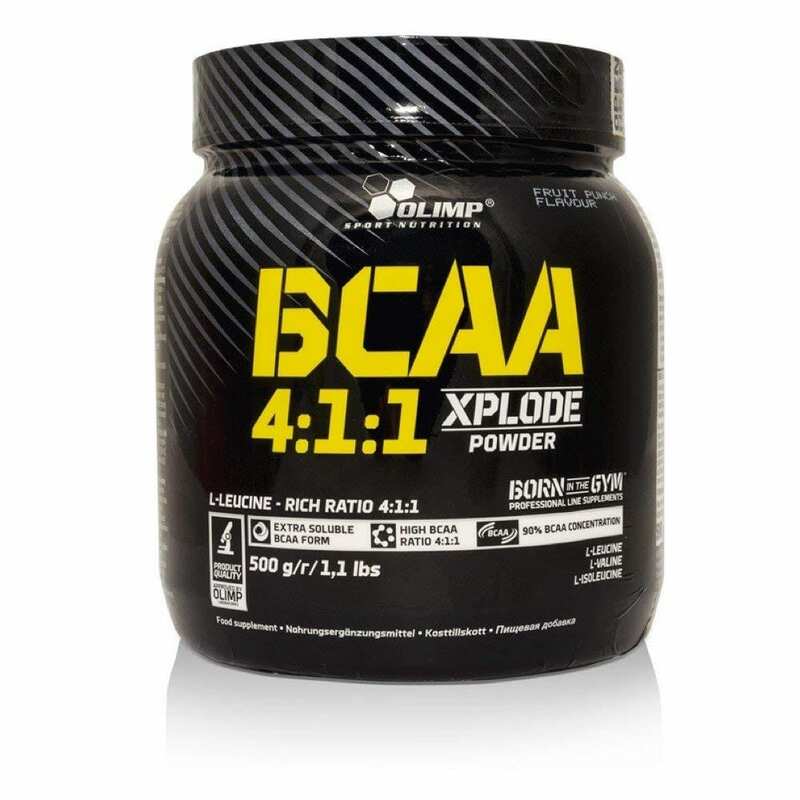 Olimp BCAA Xplode Review – Should You Buy It? USP Labs Modern BCAA Review – A Good Supplement?